TURIN AND DETROIT– General Motors Corporation (NYSE: GM, GMH) and Fiat S.p.A. (NYSE: FIA) agreed to form a strategic industrial alliance, creating an important partnership for the companies in two of the world’s largest automotive markets: Europe and Latin America. The alliance promises significant opportunities to create value for both Fiat and GM shareholders through significant synergies in the areas of material cost reductions, leveraging of each group’s powertrain activities, efficiency in the financial service operations, cross-sharing of automotive technologies, effective leverage of each other’s platforms, as well as other areas under review. The synergies that both companies have identified amount to an estimated $1.2 billion annually by the third year and growing to an estimated $2.0 billion annually by the fifth year when common components are achieved. Importantly, GM and Fiat will remain independent from one another and will continue to compete in markets around the world. GM will acquire a 20 percent stake in Fiat Auto in exchange for US$2.4 billion in GM $1-2/3 common stock. Fiat’s holdings of GM will amount to approximately 5.1 percent of GM $1-2/3 stock. 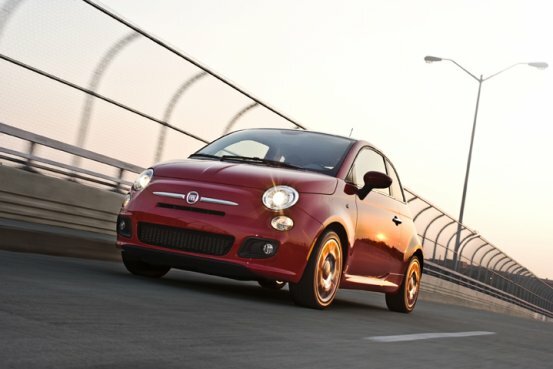 Fiat will obtain a registration rights agreement to facilitate its potential disposition of shares over time. GM will offset the new stock issuance through $2.4 billion in new repurchases of GM $1-2/3 common stock which it expects to complete before year-end. Specifically, GM will increase by $1 billion the size of its previously announced exchange offer in which it will use GM class H stock to acquire GM $1-2/3 stock. The exchange offer will be increased from $8 billion to $9 billion. In addition, GM’s board has authorized a new $1.4 billion cash repurchase program to be implemented in the second half of this year. As a result of these actions, the Fiat transaction is expected to become accretive to GM $1-2/3 shareholders within two years. GM’s action to repurchase its shares will slightly increase Fiat’s percentage of ownership in GM. "One year ago we set a clear goal for the Fiat Group: to operate from positions of leadership and excellence in all of our businesses," said Paolo Fresco, Fiat S.p.A. chairman. "We are proud to have concluded this agreement which provides our principal Sector, Fiat Auto, with the conditions to reach that goal: a cost leadership status based on the unique synergies provided by this industrial alliance and the ability to draw upon the great R&D resources of our partner (the world leader in the auto industry) to face the increasing technological challenges of this new century. "At the same time," Fresco continued, "we are drawing upon the value of Fiat Auto to take a significant stake in GM. This alliance immediately unlocks value for the benefit of our shareholders while at the same time protecting the interests of our employees, suppliers and the Italian system at large by maintaining control of our destiny." "GM is aggressively moving ahead on our strategy to grow our global automotive business," said John F. Smith, Jr., GM chairman and chief executive officer. "The opportunity to create an alliance with a large and technologically strong company like Fiat in a capital-efficient manner helps us strengthen our position in Europe and South America – a key strategic objective for GM. This alliance allows us to capture significant benefits in the areas of platform and component sharing as well as cost efficiencies, thus providing a more competitive base for our brands to create value for our customers and shareholders. It is an important illustration of the effectiveness of GM’s approach to grow profitably through the use of alliances." "We are excited at the opportunity to work with our colleagues at GM on this unique industrial cooperation initiative," said Paolo Cantarella, Fiat S.p.A. chief executive officer. "Thanks to this agreement, Fiat Auto is aggressively creating key sources of cost advantage based on our combined strengths in Europe and Latin America and on the opportunities that we are both seeking in capturing the growth trends in emerging markets. This will allow us to further accelerate with structural measures our ongoing profitability recovery. We are again demonstrating our leadership in changing the business model of the auto industry, allowing Fiat Auto to focus more clearly on serving the customer with a leaner organization." "As the consolidation of this industry continues, partnering with Fiat, a company which truly complements GM’s strengths, is a strong move for us, and we believe offers significant benefits to Fiat as well", said G. Richard Wagoner, Jr., GM chief operating officer and president. "We will build on each other’s strengths while we continue to operate autonomously and compete aggressively in the marketplace." As part of the definitive agreement announced today, Fiat, at a future point in time, will have the right, if it so chooses at its discretion, to put its remaining 80 percent equity interest in Fiat Auto to GM at fair market value, and GM will have a right of first offer if Fiat decides to sell its interest. Fiat Group’s other sectors, including Ferrari and Maserati, are not involved in this transaction. Key to the alliance will be the establishment of dedicated joint ventures in purchasing and powertrain. In the area of purchasing, Fiat Auto and GM will leverage all their purchasing capabilities, including Fiat Auto’s "component platform" inter-functional team and GM’s "creativity teams." The combined purchasing volume of the two companies provides significant opportunity for synergy. In addition, Fiat Auto and GM, along with its diesel partner Isuzu, will leverage their resources to improve powertrain offerings, performance and cost. Finally, in the area of automotive financing, GMAC and Fiat Auto Fidis will pursue operating synergies and growth opportunities in Europe and Latin America. A Steering Committee co-chaired by the CEO’s of Fiat S.p.A. and General Motors will define the joint ventures’ strategies and will identify new possible areas of industrial cooperation such as the return of the Alfa Romeo brand to the United States as well as e-business opportunities such as in-vehicle communications involving GM’s OnStar and Fiat’s Viasat. The alliance is subject to anti-trust clearance in the U.S. and European Union.